Understanding every golf rule can be overwhelming which is why I put together this basic golf rules guide for you to enjoy. Below you will find an outline of the rules that I hope you will find helpful to read or if you would like you can try reading through the 86 pages of small font of the new rule book instead. Yes, I know you didn't want to do that, so let's get started by covering the scoring terminology first. If a player makes a stroke at the wrong ball, that is considered a penalty (Match Play- loss of hole, Stroke Play- 2 stroke penalty). If a loose impediment is interfering with a line or ball, it can be removed except when the ball and the loose impediment are in the hazard. If a player removes a loose impediment while in the hazard penalty will result(Match Play- loss of hole, Stroke Play- 2 stroke penalty). If a player's ball lies in or near a movable obstruction or the movable obstruction interferes with the player's swing then the player may take relief by removing the movable obstruction without penalty. If a player's ball is embedded in its own mark in a mowed area through the green then the player may place the ball as near as possible to the original spot without penalty. If a player has hit his ball into a water hazard then, under a one stroke penalty the player may drop a ball from where the original ball was last played. They can also drop a ball behind the hazard on the line it crossed into the hazard without limitation on the distance between the hole and spot the ball crossed into hazard. They may also play the ball from the water hazard if that is a possibility. 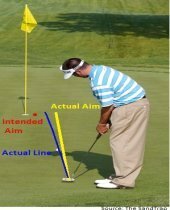 If a player loses a ball or hits a ball out of bounds then the player must play another ball under the penalty of one stroke from where the last ball was played. If a player believes he may have lost his original ball then he can declare to his opponents that he is hitting a provisional ball just in case he does not find the original ball. The provisional ball will become the ball in play under the penalty of one stroke if the player does not find his original ball. If the player finds his original ball then the provisional ball can be picked up without penalty. See, that wasn't so bad after all. 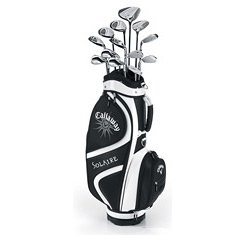 By reading through these basic golf rules you will have a general knowledge of the rules of the game and should be able to apply these basic golf rules to your game. 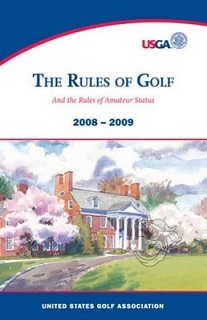 If you have found yourself confused with some of the terms used in explaining the basic golf rules then I highly recommend visiting the USGA's website and reading its Definitions. 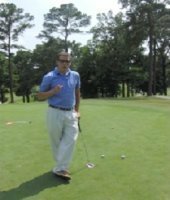 If you would like to learn about golf etiquette and what you should expect when playing for the first time at a golf course then please visit Etiquette of Golf. I hope by learning these basic golf rules you will shave strokes off of your game. If you have any further questions of these basic golf rules just ask me a question over in my Golf Questions section.